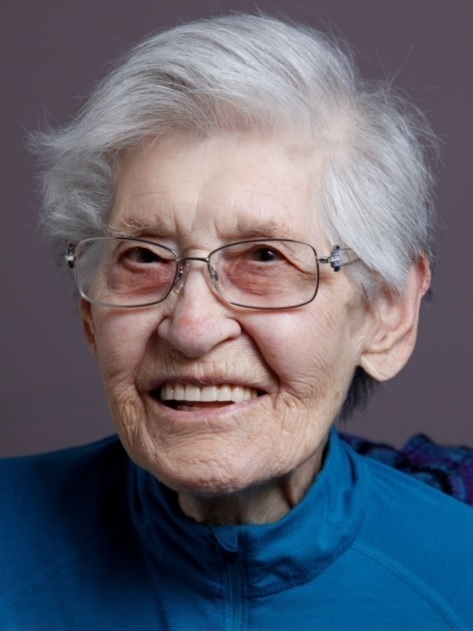 On September 14, 2018, Mary Sherbanuk of Edmonton, AB, formerly of Thorhild, AB, celebrated her 100th birthday both on Earth and in Heaven. 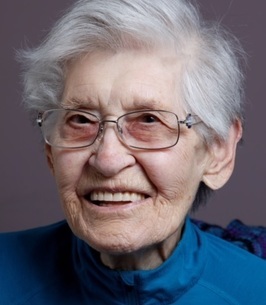 Mary is survived by her two daughters, Pat Brocklebank of Calgary, AB, and Margo Pearce of Ottawa, ON; eight grandchildren; eleven great-grandchildren; three great-great-grandchildren; one brother, Harold Nash of Calgary, AB; and one sister, Pauline Nowicki of Hinton, AB. Predeceased by her husband, Joe; son, Michael; son-in-law, Doug Pearce; brothers, John Nahaiowski, Mike Nash and Peter Nash; sisters, Irene Sereda, Nancy MacCallum, Anna Purves, Kay Elko and Sister Anna Maria. Thank you to all the caregivers at Venta Care Centre for their patient, loving care. Divine Liturgy Tuesday, September 18 at 10:30 a.m. at St. Josaphat Ukrainian Catholic Cathedral, 10825 – 97 Street. Cathedral Clergy officiating with interment in St. Michael’s Cemetery. In lieu of other tributes, donations may be made directly to United Way of the Alberta Capital Region, 15132 Stony Plain Road, Edmonton, AB, T5P 3Y3. Margo and family, my sincere sympathy on the passing of your beloved mother/grandmother. May she rest in peace. I am the daughter of Theresa Thomas, who is the daughter of Ana Purves, who was a sister to Great Aunt Mary. I had the honor of meeting this incredible being a few times, all of which leave my heart full of warmth and love. She had such a lovely sense of humor, and lit up every room with a smile as she entered it. I'm glad I was able to get to know her when I did, and I hope to one day grow to be just as graceful and grateful as I remember her being. I will truly miss her, and hope that her family and friends receive love and peace during this difficult time.